Sebastian the Ibis is no longer the big bird on campus. 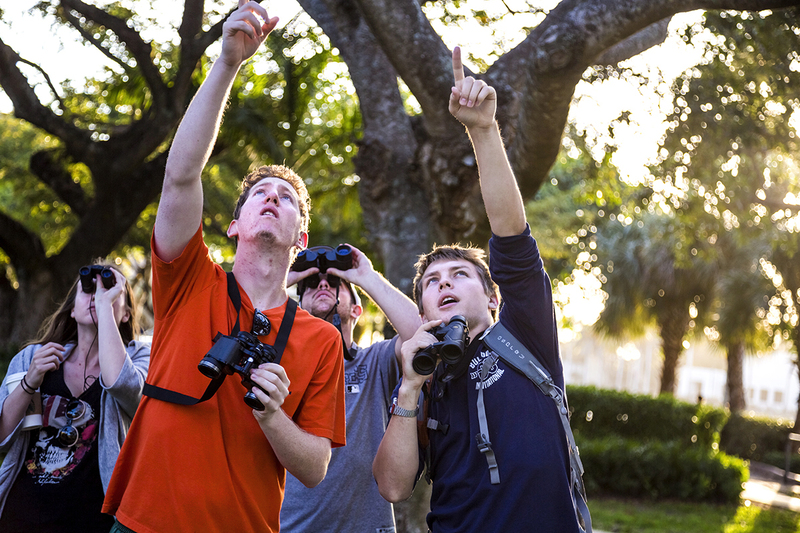 With the creation of a university birdwatching club this semester, all of University of Miami’s feathered inhabitants are getting a share of the spotlight. The UM Amateur Ornithological Society traverses the university grounds twice a week, observing and identifying the many types of birds they find. The club meets at 7 a.m. on Mondays and 6:30 p.m. on Wednesdays in front of the Student Activities Center (SAC) . “We are blessed with a great birding environment,” said junior Eric Friedman, the club’s treasurer and co-founder. The amateur ornithologists are able to watch a variety of species due to the university’s mix of land and water habitats. Common birds seen around the lake include white-faced American coots, a variety of herons and the iconic white ibis. In the trees, students are most likely to encounter boat-tailed grackles and black and brown birds that are often mistaken for crows. Hummingbirds, blue jays and cardinals can all be found in the arboretum, which is one of the best bird watching spots on campus. Club members identify these species and more as they walk throughout campus with their binoculars in hand. Some of their more interesting sightings are various birds of prey such as red-shouldered hawks, ospreys and kestrels. Club co-founders Levi Propst, who serves as the club’s president, and Friedman created the club as a way for bird enthusiasts of all levels to meet and learn from one another. Though the club is quite small at the moment, its members are a varied group with a wide variety of experience. Sophomore Kyle David, a marine biology major, is an active member of the club and attends many of the Monday morning walks. Before joining the club, however, he had never bird watched. “I had no prior experience, but I’m really into animals in general and it seemed like a very good opportunity to experience a natural aspect of Florida,” David said. Propst and Freidman weren’t always avid bird watchers themselves. 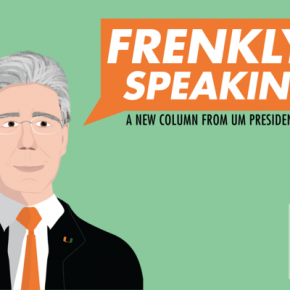 Freidman’s interest began after taking an ecosystem science and policy course his freshman year that required students to record the birds they saw on their walk to class. He enlisted Propst’s help, and the two ended up continuing to bird watch once the assignment was over. Neither Propst nor Freidman plan on making a career out of ornithology; Propst is an electrical engineering major and Freidman a geology major. Still, both see bird watching as a lifelong hobby that could appeal to many students on campus. “Anybody who like animals, the outdoors, or learning new things will enjoy the club,” Freidman said. The birdwatching group, however, does not solely bird watch. In addition to planning some off-campus birding trips, including a recent trip to Crandon Park, the club wants to install bird feeders and nest boxes across the campus. “We want to make campus a more bird-friendly environment,” Propst said. Professor Donald Olson, the faculty adviser for the club, hopes that those interested in birdwatching and learning more about the species on campus will be inspired to add to and analyze data about these bird populations. “We are trying to put together 12 years of data to see if bird populations [on campus]have changed,” Olson said. For more information, visit the UM Amateur Ornithological Society’s Facebook page.